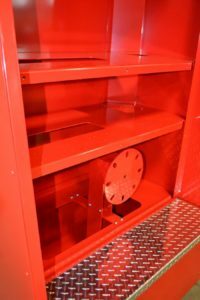 In an effort to reduce the costs associated with training the fire fighters of tomorrow, many training facilities are investing in fire engine pump station simulators. 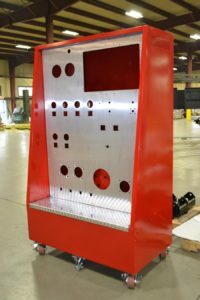 These portable simulators provide users with realistic training sessions without wasting thousands of gallons of water. 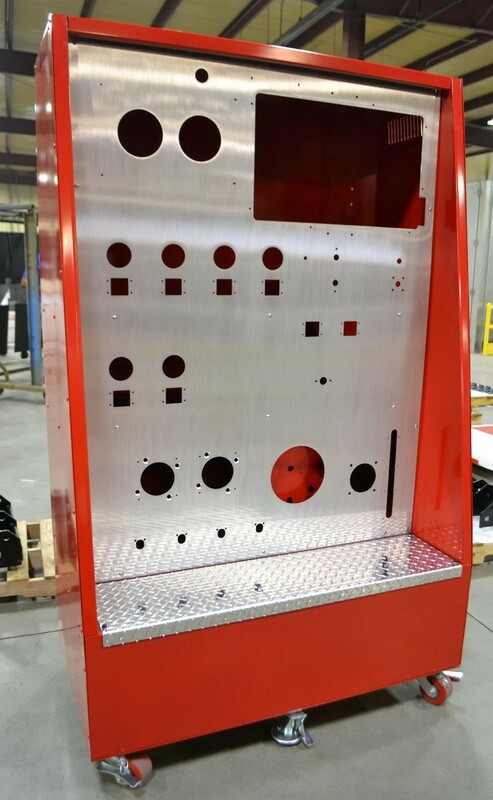 When a nearby manufacturer needed someone to design and fabricate a cabinet for their life size simulators, Conceptual Innovations jumped at the chance. 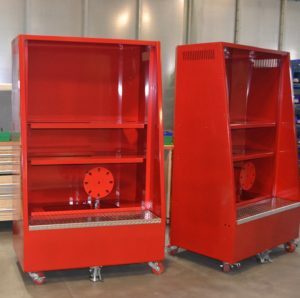 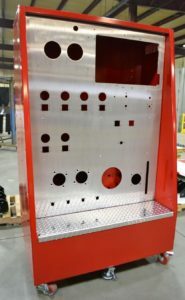 Combining our engineering talent with the laser cutting and powder coating abilities of our sister company, Fabrication Concepts, we were able to produce several of the cabinets for the customer.